Hello everyone. A good number of things have happened since the last update so I want to take a few minutes to let you know where we stand with the project. Things have been going very well since we closed on the investment in November. Getting that done has really opened up a lot of opportunities for us that we didn’t have beforehand. We’ve made such good progress recently that our investors signed off on our first set of funding milestones, and so we were granted the second of three portions of the investment financing. Below I’ll take you through, step-by-step, what we’ve been working on since they last update and talk a little about what’s next. I mentioned in the last update that we’d received the new hardware prototypes and gotten them booted up, but there was still work to do to make the camera and Bluetooth operable. Shortly after that update was published, we were able to get the camera working but were still struggling to bring the Bluetooth module online. After reviewing the schematics with the manufacturer of our processing chip, we discovered that there was a connection missing on the circuit board. We brought this to the attention of our board designer and he confirmed this suspicion. Fortunately, it was determined that this design issue could be resolved with the placement of a 4.7k ohm resistor in the location indicated in the photo above. Now that we knew what the issue was, we sent our 5 prototype boards back to our manufacturer to have the issue corrected. Shortly thereafter we got confirmation that they received the boards from us and had made the fix and it was ready to be shipped back to us. We instructed them to send 4 of the prototypes to our headquarters in Lawrence, KS and have the other unit sent to one of our hardware developers who is working remotely. After watching the tracking number with great anticipation and seeing the expected delivery date come and go, we called them up and found out that the package had not been received by their pennsylvania facility after the departure scan in Jersey City, NJ. They opened a case, assign us an agent, and told us they would have the Pennsylvania facility look for our package. After calling every day for three days, they determined that the package was lost and that the only thing we could do was contact our manufacturer and have them file a lost package claim. Fortunately the other package arrived at its destination safely and on time, but we are now down to a single hardware prototype of our main circuit board. It’s a little worrisome but we should be able to manage with just the one. So now we’re back to working on the Bluetooth to see if the fix worked and will allow us to get the module online. From there we’ll need to undergo FCC testing and certification, but after that, the hardware will be ready for production. As you know, we’ve been working with an optical engineer to design a lens/lightpipe solution to properly image the page. It has taken a bit longer than originally expected but he is nearing completion on an optical system to fit our needs. The lens work itself was relatively simple. Keith designed us an aspherical/spherical lens meaning that one side is perfectly spherical, while the other side is nearly spherical but not quite. This type of system allows us to properly image the page with a shorter overall system length. The illumination side of the problem was more challenging. Keith started out analyzing a simple lightpipe that directs the light rays upwards from the LED to the page. This didn’t work too well because as the light exits the lightpipe it still spreads out in almost the same manner and the bare LED. To help correct for this, Keith suggested we add a compound parabolic concentrator (CPC) to the end of the lightpipe design. A CPC is basically the reverse of a satellite dish and makes it so that the light coming out is generally all traveling in the same direction. The ray diagram above shows shows the path the light will take as it travels from the LED to the camera sensor. Please note that this diagram only shows light rays that ultimately make their way into the sensor and not any stray light. What we can see from this analysis is how much more light is captured by the sensor when a CPC is used versus the design without a CPC. Keith also highlights for us that the top and bottom portion of the camera is not receiving nearly the same volume of light as the center portion, which I’ll come back to. One thing I learned during this process is that once the light hits the page, it will reflect back over a 180 degree angle in what is called a “lambertian distribution.” What this means for us is that only a portion of the light leaving the lightpipe and hitting that page will ultimately be returning to the camera sensor. Therefore we must project more light than we actually need to form the image. Because the lambertian distribution does reflect the light evenly over the 180 degree angle, the more directly that the light hits the page the more light will be reflected back into our camera sensor. To optimize for this, Keith looked at several different lightpipe geometries to see which would direct the light more effectively from the source to the page. He determined that we would receive the best illumination if the light source was coming from above and to the side of the lens. To do that we’d need to bend the light rays up, over, and around since the LED is mounted directly below the camera sensor. Since the light pipe is completely clear it’s likely that we won’t be able to achieve total internal reflection of the light, meaning some amount of light will likely leak out as it bends. This is perfectly fine to an extent but we need to know how much to expect so we can design a system where the amount of light leakage is tolerable. To find out, Keith modeled the optics with a varying degree of curvature. He found that the tightest curve we could make is a 4 mm radius curve. With all this information in hand Keith was able to come up with the geometry above. It’s not shown here but a CPC will be added to the end of this lightpipe system to focus the light more directly to the page. As I mentioned a few paragraphs above, the top and bottom portions of the camera are still receiving very weak signals compared to the center portion, and no matter how Keith tuned the variables, those edges would still only gather a fraction of the volume of light that the center was. After speaking in depth about this issue we came to the conclusion that we had a decision to make between two options. We could either limit the product to being able to read 14 point font or we could work on a more complicated optical design with additional lenses and/or mirrors and/or an increased system length. We decided that the reduced development time and system complexity outweighed the potentially larger font size, so we directed him to move forward with the current design direction knowing we'd probably be limited to the 14 point font. The good news, though, is that this means the optical system is pretty much finished as far as I can tell. I expect that we'll have all the design parameters some time next week and we'll be able to build the 3D modeled parts for the system then. Based on feedback we received after this update was published there seems to have been a misunderstanding. Many people were under the impression that because of the new optical design, the Whispr Pen would only be capable of reading EXACTLY 14 pt font. I want to clear things up and let you know that that is not the case. It will be able to read anything up to and including 14 pt, and may even be able to do 15-16 if you're VERY accurate with your scanning. Also, before making the decision to limit the font size to 14 pt, we did research and found that a 14 pt font limit shouldn't have an impact for the majority of books which are typically in the 10 pt - 12 pt range depending on what font type is used. Section headings are typically 12 pt, chapter titles are usually 14 pt, and large print books typically start at 14 pt. as well. As we were working through these optical engineering challenges it became clear that in order to maintain a good image quality, the camera needed to be in more of a direct line with the page. We’d originally planned for the camera to point straight forward, and then because of the angle at the nose of the product, the camera would sit at a more ergonomically pleasing 42 degree angle. Unfortunately, when we did that, the image quality dropped off sharply. You may have noticed from the first two pictures above, but making this change to the orientation of the camera necessitated a change to the flexible circuit that connects the camera to the main printed circuit board assembly. The design of this part is very simple so we had our contract hardware developer update the design files to reflect the new shape needed. As we were doing this we were also shopping around for manufacturers who could produce parts faster and at the same or lower price. We ended up finding a company headquartered in Canada who could produce an entire production run of flexible printed circuits in less time and for about half the price of what our old manufacturers quoted for the production of 5 prototypes. With the price being so reasonable we figured why not take a chance on this new design and produce a whole batch. So that’s just what we did. Above you can see the first 1,250 units of the flex circuits, one of which will eventually be yours. Taking this chance worked out even better than we could have hoped. The new parts were produced exactly to specification. More than that though, the new flex circuits are even more flexible than the previous units, a facet I was somewhat concerned about with the old prototypes. The changes to the optical system resulted in pretty significant changes to the overall look and feel of the product but it seems to me that these changes were all for the better. The previous design always felt incomplete because of how abruptly the nose just cut off at the end, but with this design the profile feels more finished. Also, with the upgrades it seems that we’ve been able to sculpt the design to closely resemble Becky's original vision, which has been important to us. You may have noticed the indention at the nose end of the device from the close-up picture on the bottom right. That feature is the text-indicator notch. To make sure you’re aligned properly with the text, all you have to do is line the notch up with the text you’re scanning. This design is also much more workable in terms of usable space compared to the original design. Now that we have all the internal parts designed and modeled, we can finally see that everything fits snugly inside the enclosure. From here, most of the work left to do on the enclosure is just designing the internal structure that will hold all of the parts in place, some of which has already been modeled and prototyped. In the photo above you can see that Josh has modeled the screw boss that will hold the main board to the enclosure, trapping the battery in place. On the right hand side you can see the camera being firmly held in place and on the left hand side you can see where the tail end of the main board will rest. Here you can see the next step that Josh is working on which includes the button lever (with a flex circuit retainer), a bulkhead for the battery so it won’t shift and rattle, and a resting place for the front of the main board. To show you how far we’ve come with the enclosure design I went ahead and compiled pictures of our many previous iterations, which you can see below. The first image you see is a drawing we made back in April 2013 when Jamee first came up with the idea. Lastly, we also recently received prototypes of our packaging design which will be very similar to how smart phones are packaged. 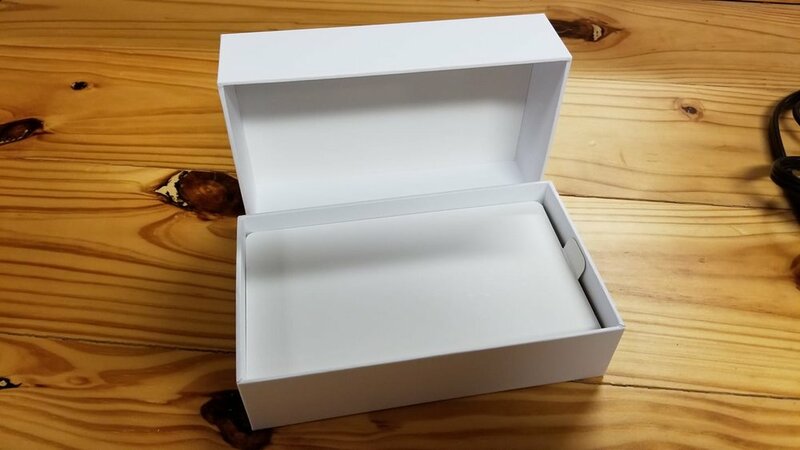 The packaging will include an insert with two compartments to hold the earbuds and the micro USB charger. Above that will be the quick start guide which has the operating instructions, return policy, warranty, etc. That will sit just above a card with a bent finger tab which will make it easier to extract the quick start guide. Finally, on top will be the product insert. The prototype photographed has a temporary paper insert because we didn’t want to create tooling for it before the enclosure design is finalized. 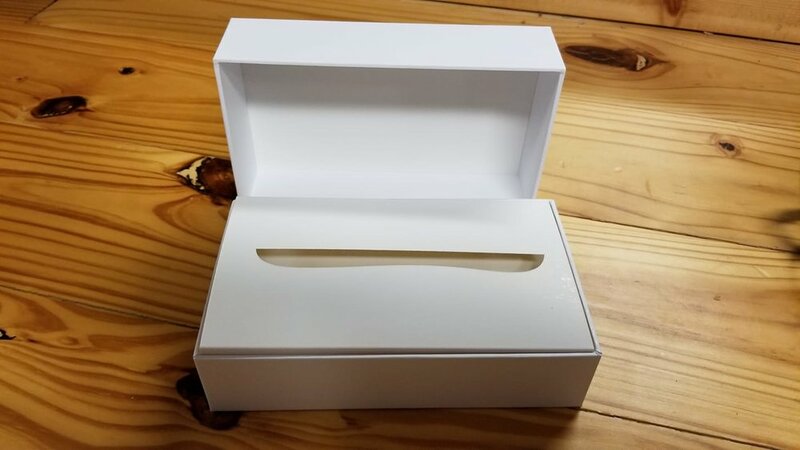 The final insert will likely be a thick, vacuum formed, white polystyrene insert to hold the pen, similar to the first picture above. 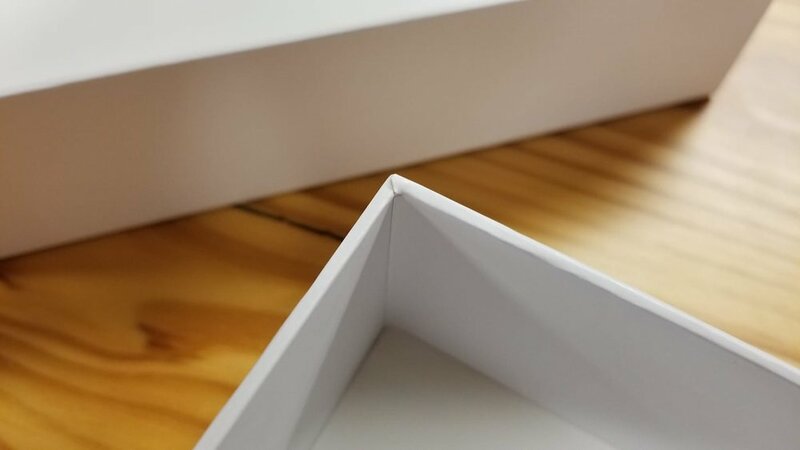 The second and third picture above shows two alternative (cut foam and EVA) materials that may be used, depending on what we learn from the manufacturers when we go to production. 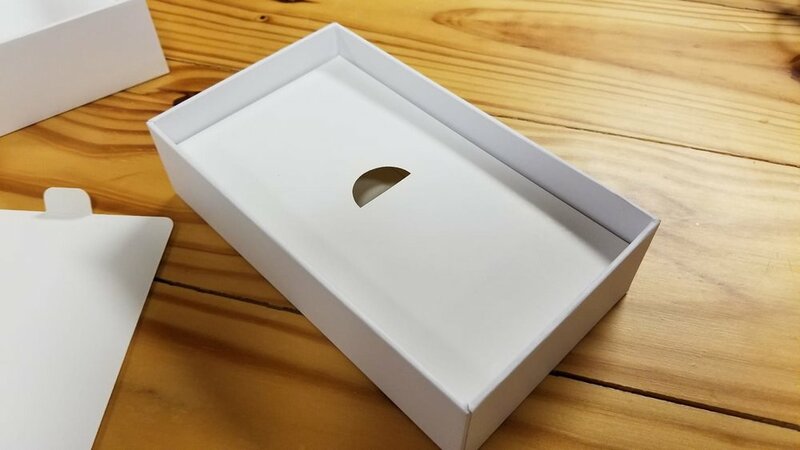 The outside of the box will have full 4-color graphics printed on it but that has not been completed yet. Our investors have a full-time graphic designer on staff that we will be working with on this project. For the time being they are helping us create a logo for the Whisper Pen, but once that is complete they will help us with the graphics for the packaging as well as the quick start guide.